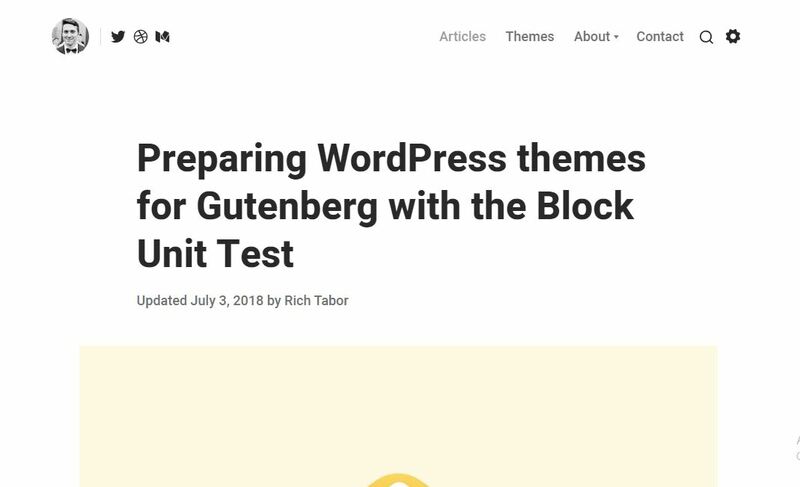 Everyone is preparing for the new WordPress Gutenberg update, the theme developers, the WordPress website owners, and anyone related to the WordPress community. 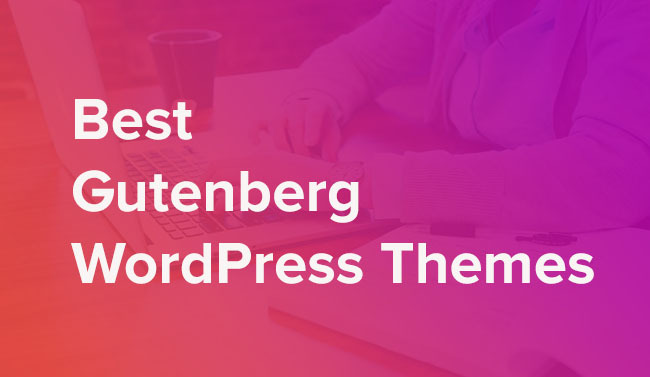 If you were thinking of creating your website with WordPress and the commotion about WordPress Gutenberg made you skeptic, here are some of the Gutenberg ready themes to get started. These are multipurpose themes, that have been tried and tested to get along with the Gutenberg editor(Read: What is so special about the WordPress Gutenberg editor?). 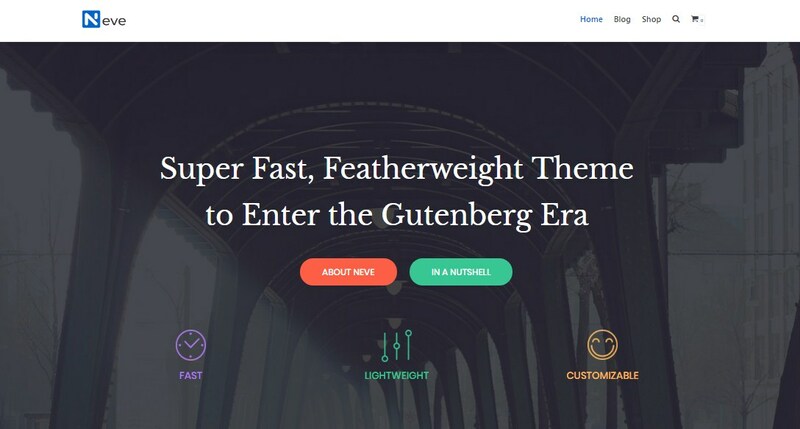 So for your upcoming WordPress website, you can choose one of these Gutenberg ready WordPress themes and get started right now. Create a beautiful online presence with this WordPress Gutenberg theme, designed professionally & easy to use. Drag and drop page building, contact form, high customizability & color options, are only a few of the best features of this Gutenberg WordPress theme. 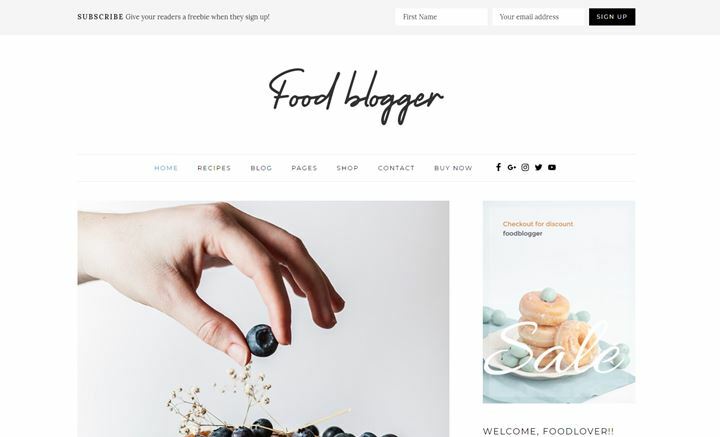 Create beautiful food and recipe blog websites with the Food Blogger WordPress theme. This theme takes the ease of use to a different level. Focus on your blogs while the inbuilt theme features to support your endeavor. The theme comes with Elementor page builder support to let you re-design your site pages. The FoodBlogger theme is performance and SEO optimized and allows you to integrate the Gutenberg plugins for enhancing the editing experience on your WordPress website. 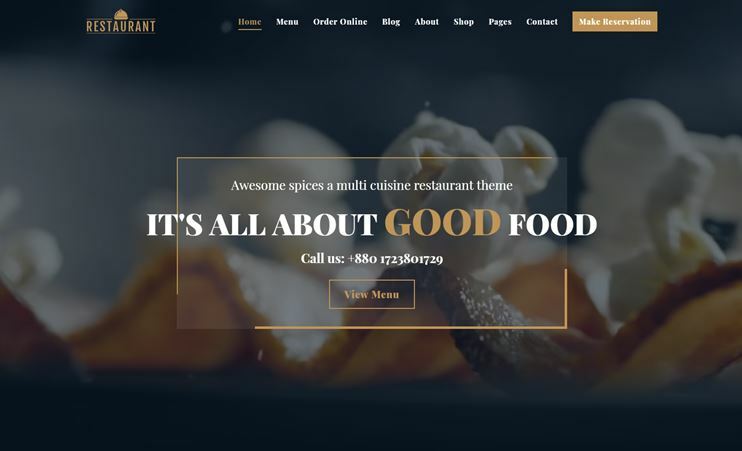 Create amazing websites for your restaurants, cafes, bistro, diners, eateries, or any such food establishments with this Gutenberg friendly Restaurant theme. The theme supports the WordPress Elementor page builder to create pages of your choice. It is SEO friendly and easy to use. It also has WooCommerce included, online booking and menu variations. Neve is a fast and multipurpose WordPress theme. 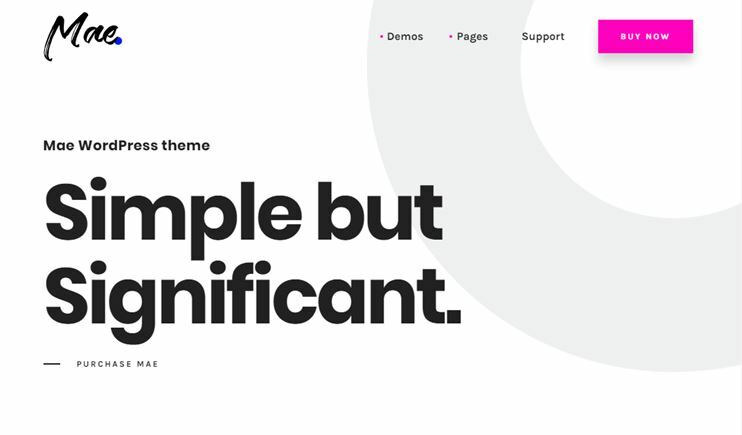 This Gutenberg ready theme is SEO friendly for creating efficient websites. With this theme, you can use different page builders like Elementor page builder, Divi builder, SiteOrigin page builder, Beaver builder, etc. This makes it very to create page designs of your choice. Neve is speed and performance optimized too. With the available customization settings and live customizer, you can make your website look exactly the way you want. You can translate it into any language of your choice, or you can even create RTL websites with this theme. Creatus is a beautifully multipurpose and easy to use WordPress theme that works well with the Gutenberg plugin. 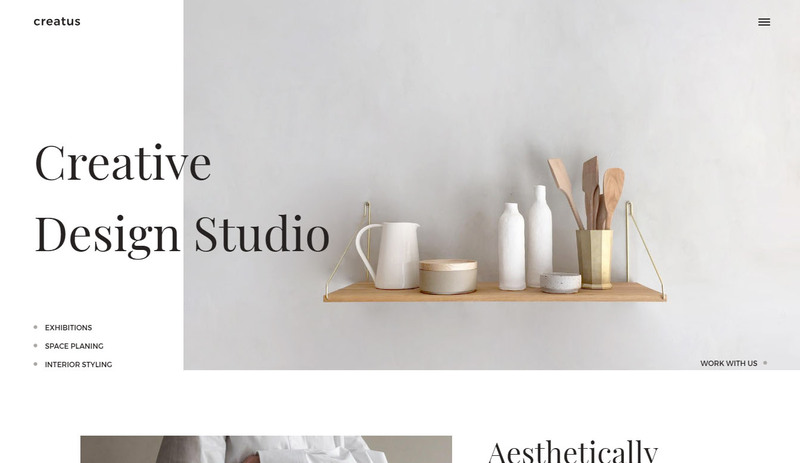 This theme can be used to create online portfolios or eCommerce websites, blog or news magazine website, business or corporate agencies, etc. There are multiple demos to choose from. Set beautiful video backgrounds and create stunning websites with the attractive parallax sections & blocks. With the theme, you get the Revolution slider & Layer slider bundled, without paying extra! This Gutenberg WordPress theme comes with a design that looks great regardless of the device it is viewed on. It also allows you to show events on your site. Building the website of your dreams is easier with the inbuilt drag and drop page builder and the ready to use page templates from the template library. This means that you don’t have to download/buy a separate page building plugin. Creatus is speed and SEO optimized to create websites with best user experience and search engine rankings. Creatus can be used for any creative purposes. It lets you create professionally designed stunning websites without touching a line of code, all with the ample options it’s backend has to provide. Looking for a Job board theme that uses Gutenberg? The Job Finder WordPress theme is beautiful, responsive and very easy to use. This theme relies on the WP Job Manager plugin for its job board features. 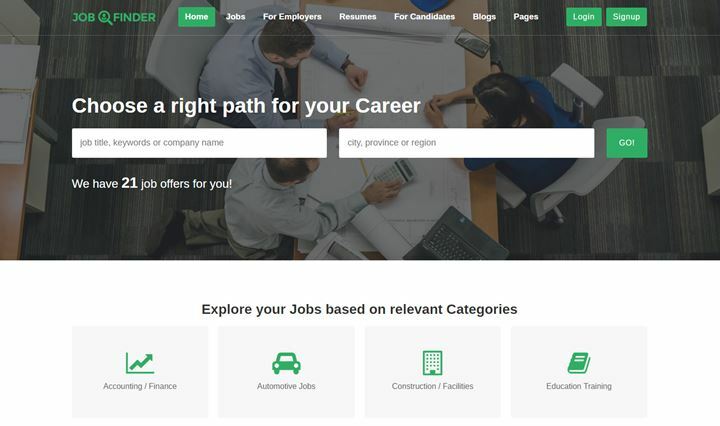 With this theme, you can create a fully functional online job portal with paid submissions. Besides, it supports the Elementor Page builder for easy drag and drop page building. The Job Finder WordPress theme is easy to use and SEO friendly. 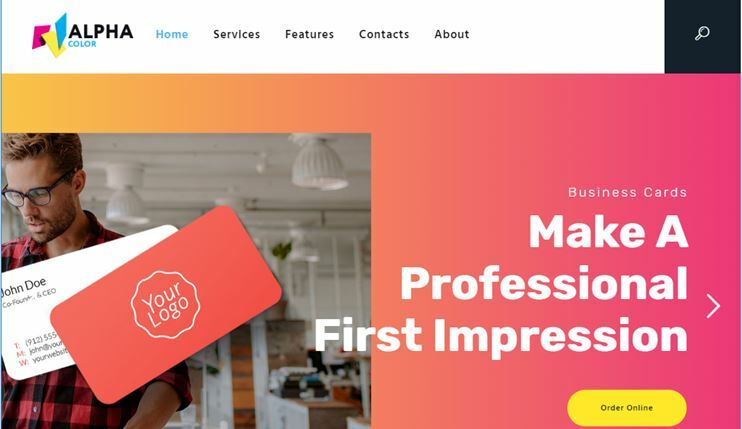 The inbuilt features of this Gutenberg ready WordPress theme makes it possible for you to start a job board website in just minutes. Want to create a horoscope and astrology related website with WordPress? Sterallium is the theme for you! It is a beautiful, responsive and Gutenberg ready theme with different demos for light, dark and colored versions. This theme comes with a free page builder integrated so you can change and update the designs of the pages, or create a new one easily. It also comes with a cost calculator, well designed service sections, and supports Google fonts. 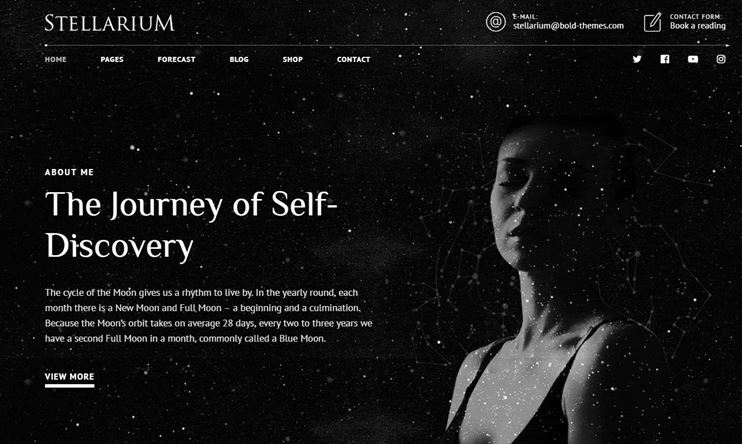 Made for the horoscope related and astrological websites, this WordPress theme also integrates with WooCommerce for eCommerce features. Sterallium is translation and multi-language ready. Also, you can talk about your astrology and other services through the blogs. This theme dedicated to help you create any kind of photography website, is attractive and highly customizable. It comes with multiple demo options to choose from. To create multiple portfolios, or albums, you can use multiple page templates available. 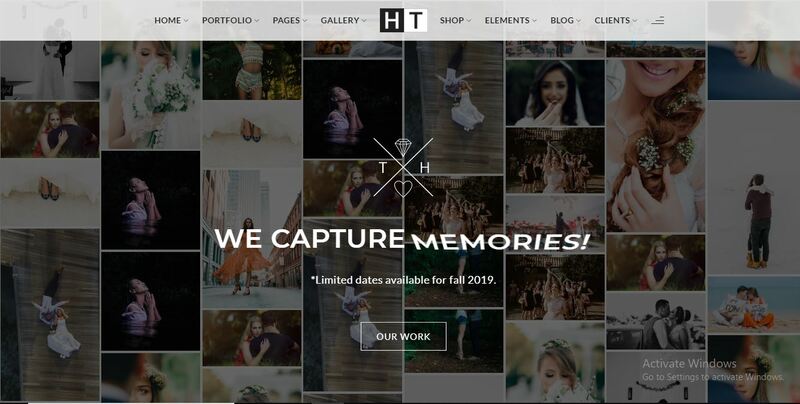 Since these kind of creative websites need social attention, halftone allows you to create completely social media ready websites. Halftone is speed optimized for an improved user experience. Also, it is incredibly easy to use. Without touching a line of code, you can manage your website and make it look the way you want. The backend comes with easy options to let you control your site. It is also compatible with WooCommerce for eCommerce related features. Once you purchase the theme, you get free lifetime updates too. Dr Patterson is a Gutenberg ready WordPress theme. It lets you integrate the Gutenberg plugin and start building beautiful pages. 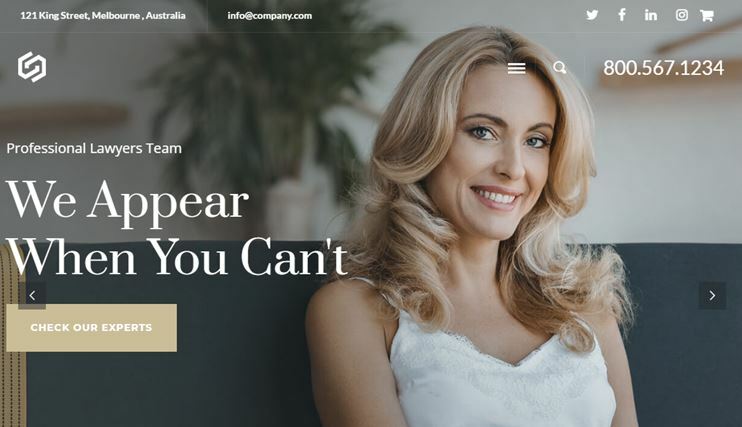 The theme can be used to create a website for surgeons, dentists, hospital, clinics, nursing homes, medical institution, medical equipment stores, medical hospice center, infirmary, wellness centers, massage centers and hair and beauty clinic, cosmetic care centers, nail spas, etc. It is a theme with modern design and easy options to let you create stunning medical related websites. This Gutenberg ready theme comes with multiple demo and pre-built templates to create websites easily. It comes with custom post types to make it easier for you to display your services, team and testimonials. 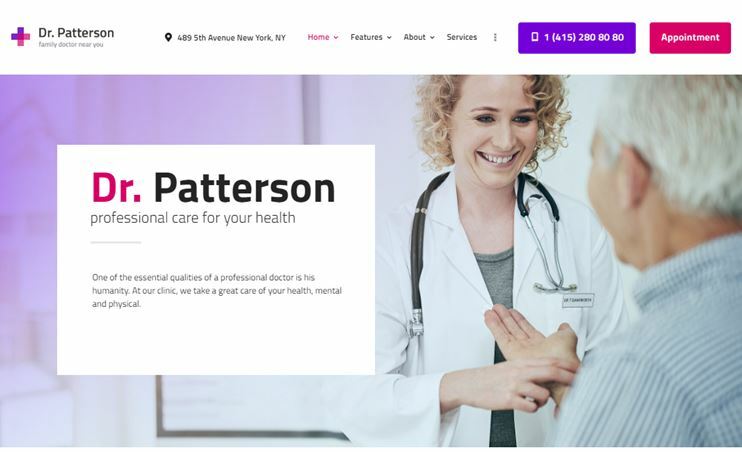 Dr Patterson is SEO optimized and comes with all the features to create attractive medical related websites of all niche. Orgafresh is a WooCommerce WordPress theme to create Gutenberg related eCommerce websites. This theme is designed keeping the requirements of modern eCommerce stores in mind. 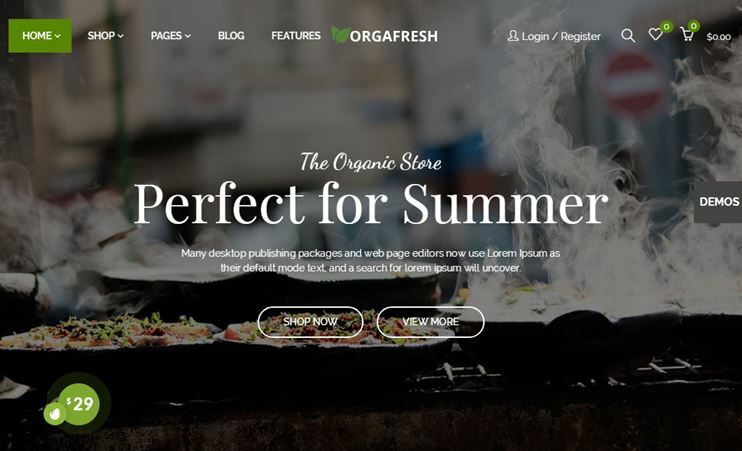 Even though the Orgafresh demo is designed for organic stores, this WordPress blocks theme can be used for any other purpose. With the available options, you can change the entire look of your website and sell downloadable as well as shippable goods easily. There are product images and zoom effects. The theme comes with so many features to create an online store effortlessly. Dox is a WordPress template with modern design and features. It can be used to create any kind of creative website. You get to choose from the available concepts to get started with your website. Dox is speed and SEO optimized for creating fantastic websites with better user experience. You can create beautiful galleries with the available image filters, border options, etc. You can choose from the dark and the light version of the theme. Dox lets you create websites with easy options available at the backend. It is a truly multipurpose theme that allows creating booking systems, event management websites, blogs, portfolios and eCommerce websites easily. Dox is compatible with mostly all the popular plugins that you would want to use for your website. This is the WordPress theme for news and magazine websites, or a blog site. It is designed with precision to look great on all the devices you like. The opinion Gutenberg WordPress theme comes with ad monetization options, and you can place advertisements anywhere you want. If you want to highlight an important article or advertisements in the sidebar, you can do that using the sticky sidebar option. You can use highlighted widget, to make your website more intuitive. There are different admin panel options, post formats, pagination options, custom widgets, etc you can use into your website. You can use this theme to create a news magazine website in RTL ready. The theme is easy to use and comes with all the features to let you create amazing websites in minutes. 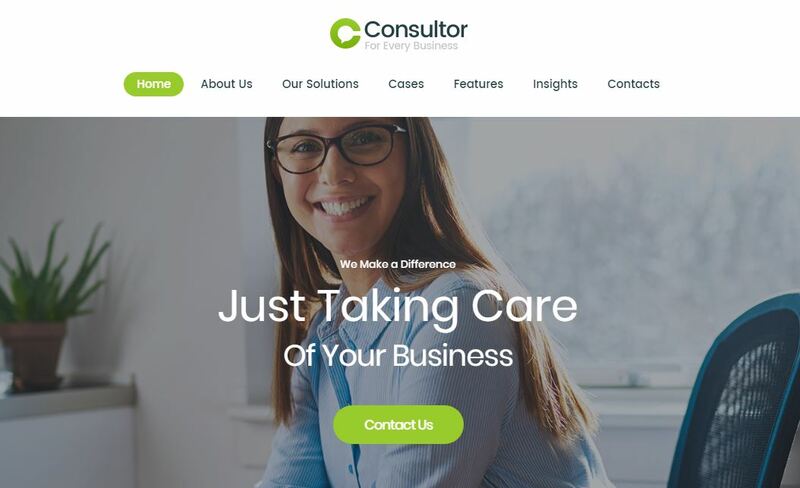 Oconnor is a WordPress theme for you if you want to create a professional looking website for your law office, attorneys, counselors, judges, barristers, private law agency, or any related niche. The theme’s design is modern and sophisticated. It comes with pre-designed sections to display services, testimonials, lawyer’s profile with about page, practice areas, etc. The Visual Composer page builder comes bundled with the theme. So creating pages is a matter of drag and drop. You also get the revolution slider included with the theme purchase to create and display sliders into your website. This WordPress blocks theme is SEO optimized for better ranks on the search engine. It comes with all the features included to promote your services and tell people about your work. KLEO is one of the best Gutenberg ready themes for creating community-based websites. It is a flexible theme that can be used to create a website of any niche. With Kleo, you can create any kind of community websites with blogs, eCommerce, online portfolios, directories, etc. The theme comes with all the features to let you create amazing websites without touching a line of code. It allows seamless BuddyPress integration on your website for creating community-based websites. The theme also comes with multiple demos to choose from. It also integrates with the sensei learning plugin for creating educational websites. The RTL compatible Gutenberg template lets you create websites in Arabic, Hebrew or any RTL languages. 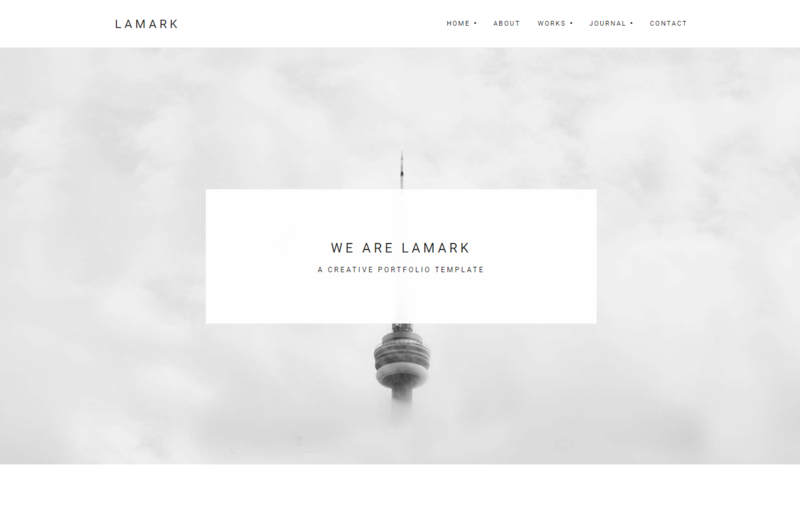 If you are looking for a clean, minimalist theme to create online portfolios, Lamark is the theme for you. It is ideal for creating websites for small businesses, creative agencies, or professional portfolios of any kind. It is one of the best Gutenberg WordPress themes. Lamark allows creating pages with the Elementor page builder. So you can edit the existing pages or create a new one, with drag and drop options. The theme is designed for a swift user experience and emphasizes readability. It allows you to choose from 4 available homepage styles and 5 portfolio views. The pixel perfect design and abundant customization options make website building a breeze. Lamark is compatible with the WordPress Gutenberg plugin. So you can use the new Gutenberg editor to create pages and posts on your site. Flamini is a minimal and elegant WordPress premium theme to create online portfolios, with Gutenberg compatibility. It can be used to create websites for your creative agencies, small business firms, designing firm or freelancers. Page building is easier with the new Gutenberg editor and the Elementor page builder. Flamini is optimized for a smooth user experience. There are different homepage and portfolio styles to create your online portfolios. This Gutenberg template is SEO and speed optimized. The admin panel comes with intuitive options using which you can manage your site easily. You can also create a multilingual website with the help of the WPML plugin. 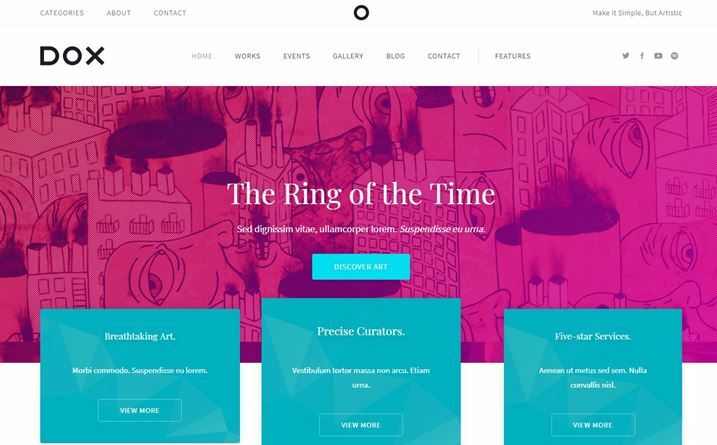 Mae is a flexible and beautiful theme to create event management websites. The theme is Gutenberg compatible and you can create beautiful pages easily. Mae is a speed optimized website template. The theme is fully responsive and allows integration of Google fonts. 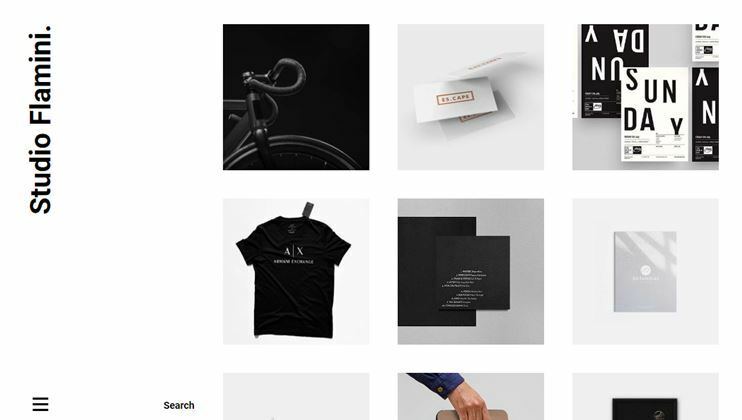 To create attractive portfolios, you can use the masonry grid templates available in the theme. There are unlimited color options and the appearance of the theme can be managed using the easy options. Mae is simple, beautiful and to the point. Check out the demo to know how your website created with this WordPress blocks theme will actually appear to the end users. 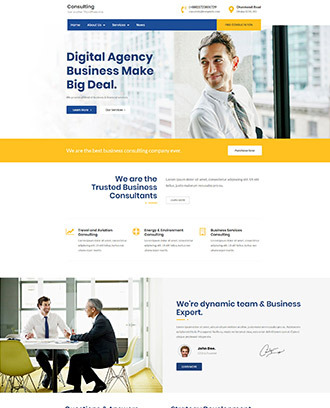 This is a consulting/business WordPress theme with modern features and functions. With the compatible WP Bakery plugin, you can create all the pages you need easily. Also content creation on your site is easier with the Gutenberg editor. It is basically, a multipurpose business theme to create a corporate website of any niche. It is responsive and mobile-ready. The theme is designed with the best options for site customizations. There are a lot of shortcodes in the theme for different purposes, that make site building easier for you. This Gutenberg template looks beautiful with the parallax sections and designs. It supports all the popular WordPress plugins like MailChimp, Contact form 7, Visual builder, etc. 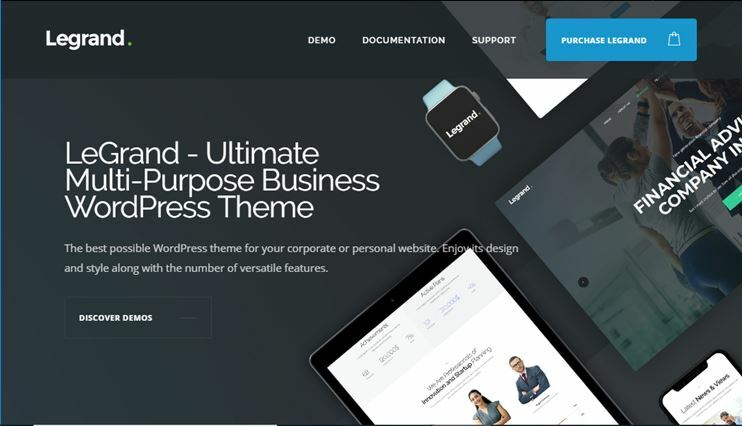 LeGrand is a responsive, clean, modern and customizable WordPress theme. It is, infact, a multipurpose business theme that you can use for different purposes. With the LeGrand Gutenberg WordPress theme, you can choose from the different homepage styles. It allows you to use the WP Bakery page builder to organize page designs and the Gutenberg editor to create content within the pages and posts. It allows you to import demo with just one click and some pre-built pages to get started. Create attractive websites with the header and footer builder. The theme is speed and SEO optimized for the best results. This is a multi-concept photography and videography theme. 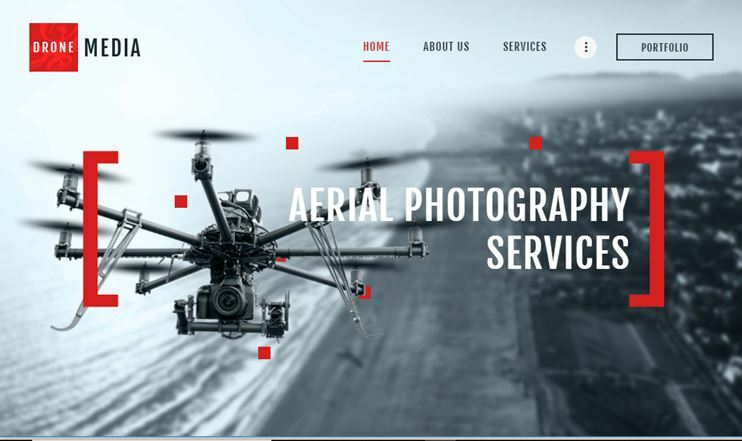 You can use this theme to create a website for your business/firm dealing with photography and videography. It is one of the multimedia ready, Gutenberg compatible WordPress themes. The theme is compatible with the Visual composer page builder for quick page construction. The theme is SEO optimized for the best results on search engines. Interactive Ajax Search, colors & Typography options, retina images support, post animations, icons and many other useful features. Drone media is compatible with the Gutenberg editor so you can easily create content for your website. Alpha color is a niche theme for printing services & it is a WordPress Gutenberg theme. The theme is eCommerce ready and can be used to sell the services online. The mobile-ready & responsive theme is compatible with the Visual Composer page builder. So you can create pages with easy drag and drop options. 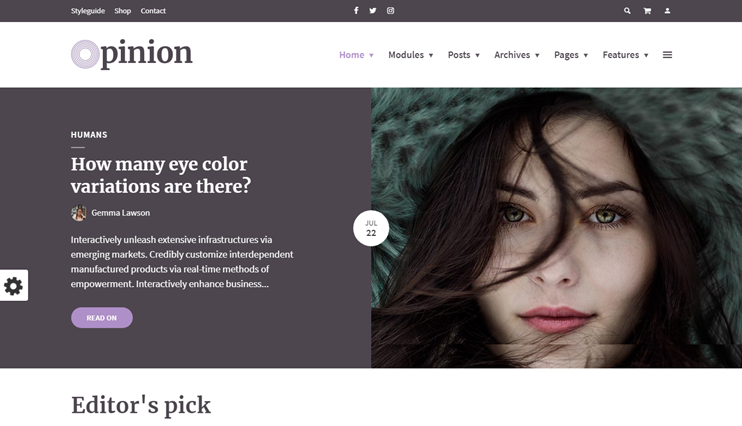 The AlphaColor WordPress theme is easy to customize. It comes with multiple page layouts you can choose from. Besides, there are widgets and shortcodes you can use to insert features into your site. AlphaColor is Gutenberg compatible, so you can create content very easily. AlphaColor is a flexible and modern theme for all your requirements. 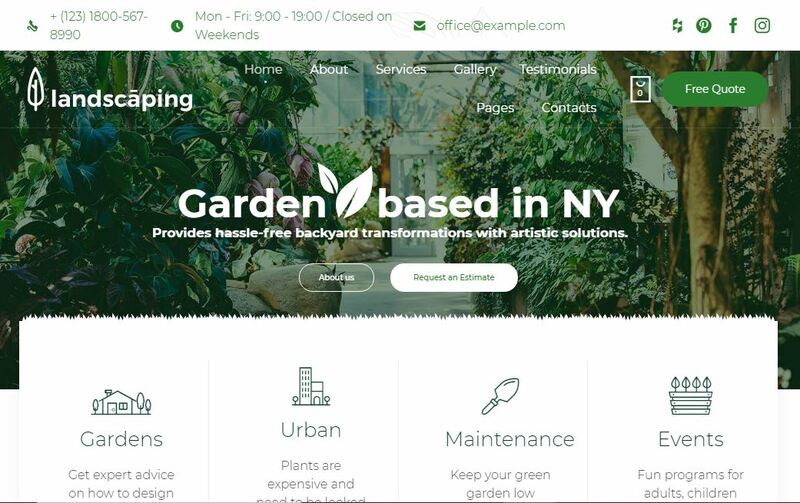 This WordPress Gutenberg theme can be used to create any kind of website related to the Landscaping and Gardening industry. It can be used by gardeners, florist, landscapists, etc. to create their website. As the theme is easy to use and lets you create websites without touching a line of code, you can use it to create a website on your own. The purchase includes all the stock images related to the niche and a few custom icons related to the subject to make your site more intuitive. As the theme is compatible with beaver builder, you can create all the pages you need on your site with easy drag and drop options. Also, the theme is compatible with the new Gutenberg WordPress editor for efficient content creation. This WordPress blocks theme is optimized for page load times. The Landscaping theme is SEO optimized and eCommerce ready with WooCommerce support. It also lets you create attractive masonry gallery to showcase your landscaping art. 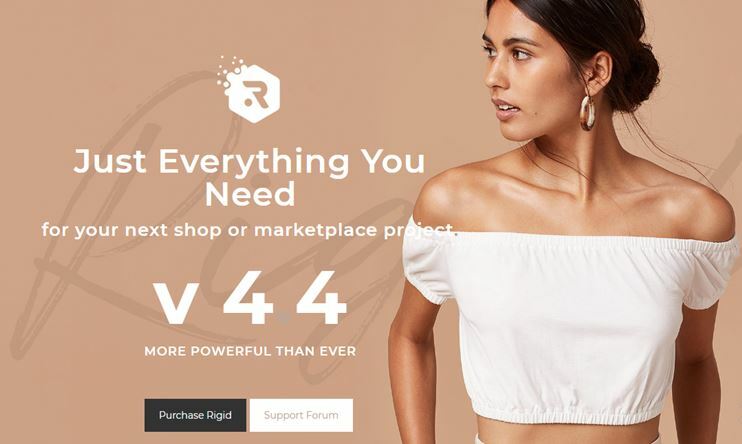 Rigid is a eCommerce theme for creating simple online stores as well as large marketplace. The theme is speed and performance optimized for better user experience. It comes with the built in mega menu to accommodate all the eCommerce categories of your store. Headers play an important role on your site and therefore the theme comes with multiple header options. You can create pages with the drag and drop page builder with the supported WPBakery page builder for page building. Besides, you can use the Gutenberg editor to create content on your pages and posts. If you are looking for a Gutenberg ready theme to create a blog or a news magazine website, Tabor is the one for you. It is incredibly easy to use and comes with all the intuitive options to create your website on your own. This is a WordPress themes for bloggers, authors, writers, and other related professions. It is content focused and SEO optimized so that the content you write reaches the relevant audience. Tabor is compatible with the Gutenberg editor to create content and posts. So you can make use of the new editing system to create content with the block based system. 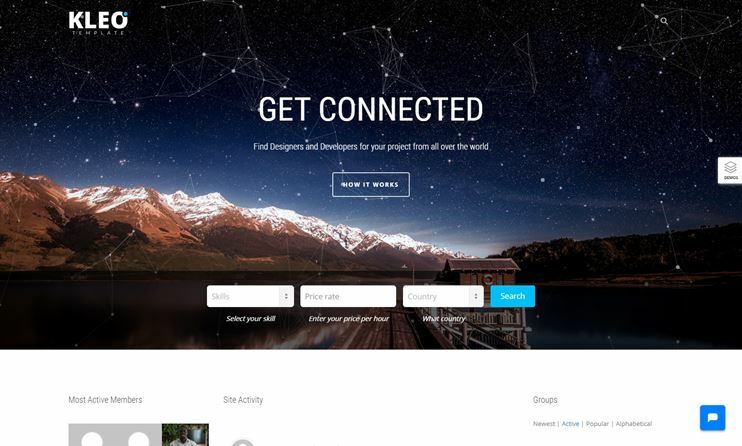 Tabor is a social sharing ready theme. It is translatable and allows videos with high readability. You can create stunning websites that serves your purpose and the best user experience. So which Gutenberg WordPress theme you will go for?? Our WordPress Gutenberg edting blocks with custom features, Blocks Builder: Ultimate blocks for WordPress Gutenberg. These blocks include some ehanced text blocks, and some social icons related blocks. While some of these WordPress Gutenberg themes comes with niche designs, the others are multipurpose. You can choose the theme based on your requirements. With these WordPress Gutenberg themes, you can create content easily. The block-based Gutenberg editor makes it easy to create multi-media content as well as reuse the content blocks on your site. Let us know your views regarding these Gutenberg ready themes as well as Gutenberg editing experience through the comments. If you are confused on what the Gutenberg editor changes, or wondering where to find the WordPress Gutenberg tutorial, you should read this article about WordPress Gutenberg editor.